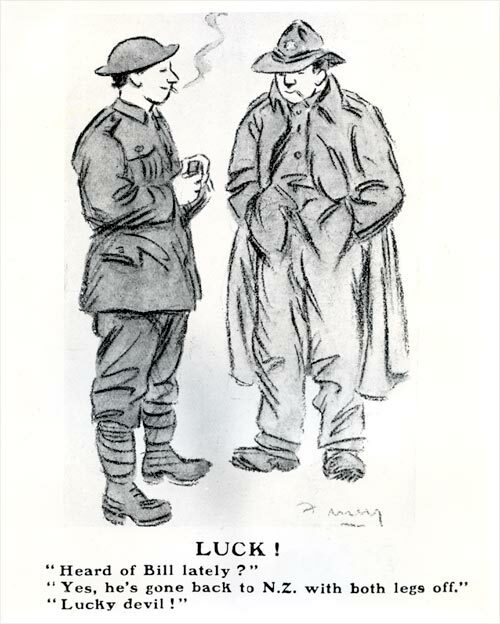 This cartoon by George Finey appeared in New Zealand at the front in 1917. It expresses the frustration and cynicism many soldiers felt over the seemingly never-ending war. This was in sharp contrast to the official propaganda of patriotic soldiers always eager for battle. Reference: New Zealand at the front, 1918. London: Cassell, 1918.